As an owner of three of the previous four Sound Approach guides, I knew just what to expect when I received the latest publication, Undiscovered Owls. As with the others in the series, this book is written in a friendly yet informative manner. It takes you on a journey with the authors and sound recorders explaining the different calls and songs, often relating them to a specific behaviour. As with previous guides, the recordings are contained on accompanying CDs. The book is in the usual landscape format and and is adorned with a fantastic image of Omani Owl by Killian Mullarney, who also illustrated the four CDs of sound recordings, whilst the illustrations within the book are left in the capable hands of Håkan Delin. 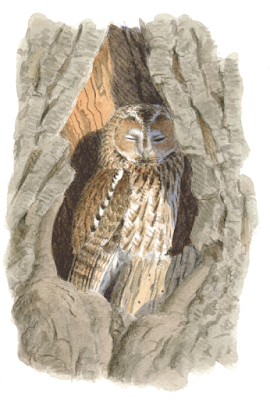 The book covers all the Western Palearctic species of owl and allows you to listen in to their often secret world. The digital stereo sound recordings are of an excellent quality and by Track 4 of the first disc you're being whisked away to the Middle East in a fantastic soundscape listening to a Common Barn Owl accompanied by Arabian Wolf, Arabian Scops Owl and Arabian Eagle Owl. The majority of recordings are accompanied by a sonogram graphically representing important sections of the sound recording and a brief description of what you're hearing and where and when it was recorded. As the recordings are designed to be listened to at certain points within the text, there can be a fair amount of stopping and starting of the CDs so it may be advisable to first transfer them to an MP3 player or phone for easier access. One interesting aspect of the book is the proposal of a variety of new "splits" based largely on the sound recordings and morphological features. For example three new island-endemic Barn Owls are suggested, for the eastern Canary Islands; Madeira, The Desertas and Porto Santo; and Cape Verde. 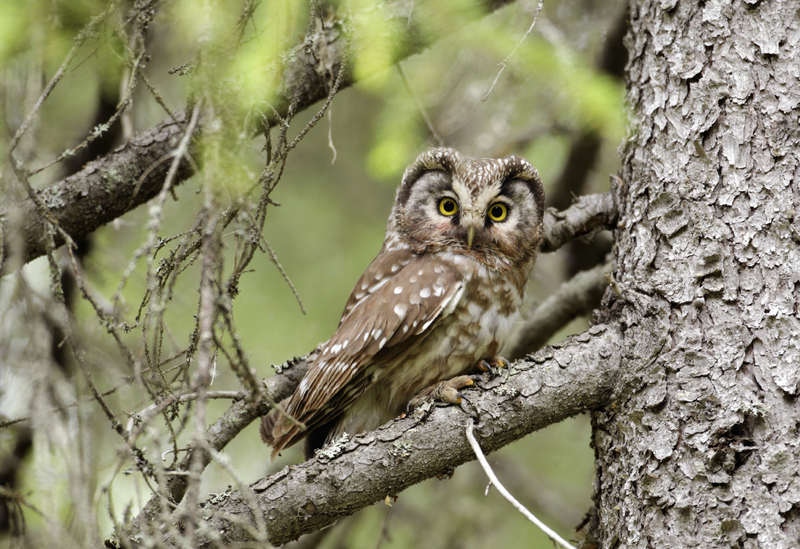 The photographs are numerous and generally superb and the text contains a fantastic amount of information on the behaviour and sounds of species of owl that you may think that you already know quite well. The book concludes with the exciting discovery by the Sound Approach team of a new species in northern Oman. 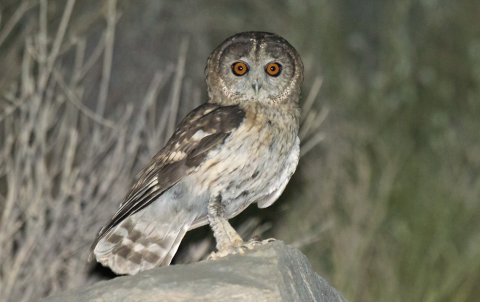 The Omani Owl, which has now been recognised by Birdlife International and given the scientific name Strix omanensis. There really is very little not to like about Undiscovered Owls. The only slight quibble is the landscape format doesn't sit neatly on the bookshelf, but perhaps I just need to invest in a deeper bookcase specifically to fill with future Sound Approach guides. The only dilemma for potential buyers is whether to buy the book or wait to see if an iBook will be released, as the Sound Approach guides really do lend themselves well to the iBook format. If an iPad version is to be released ideally I'd have liked to see a "bundle offer" so that both versions could be purchased at a reduced rate. Perhaps this is something that could be considered for future works. 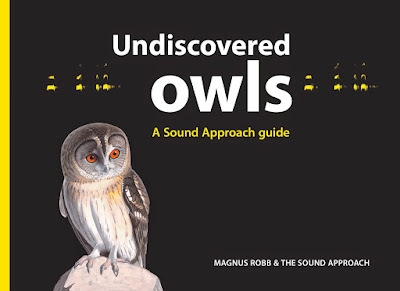 Undiscovered Owls is published by The Sound Approach (ISBN-13: 978-90-810933-7-8).